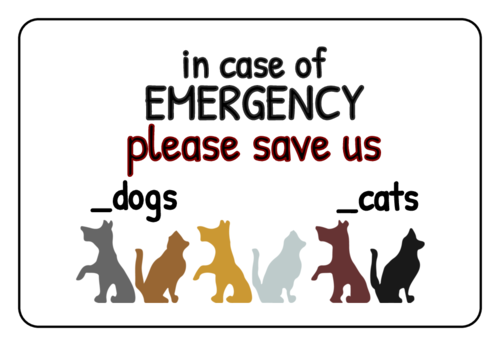 Print these pet emergency label templates and fill in how many of each pet you have. They let rescue teams know exactly how many of each pet to look out for in case of an emergency. We found 50 compatible sizes. Choose a template below to edit this design.